Habitat: Desert. 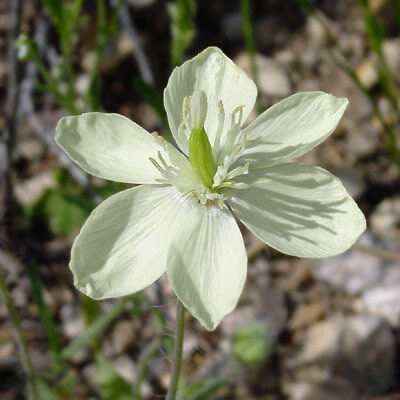 This lovely wildflower often grows in moist, sandy ground at the edges of desert washes. 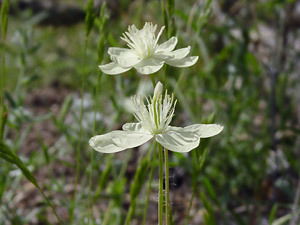 Description: The solitary flowers are 1 inch (2.5 cm) wide and have 6 delicate, oval, cupped petals and 3 sepals. The flower buds are hairy and drooping. 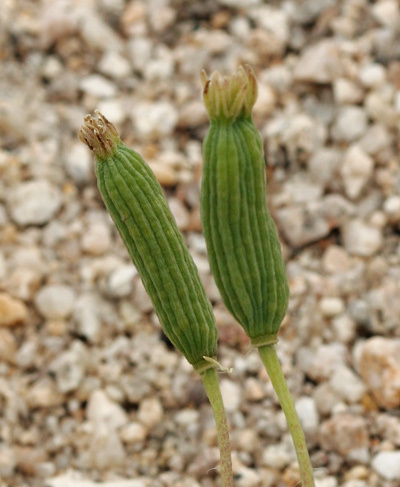 The flowers are followed by cylindrical, segmented, ridged fruit. The leaves are green, hairy, opposite, linear to narrowly lanceolate in shape, and clustered at the base of the plant. 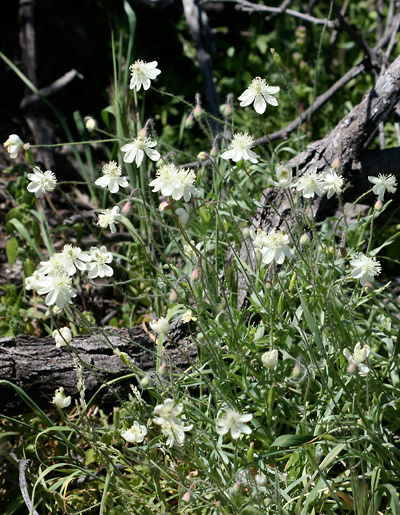 The stems and leaves are sparsely covered in unusual, long, white hairs.